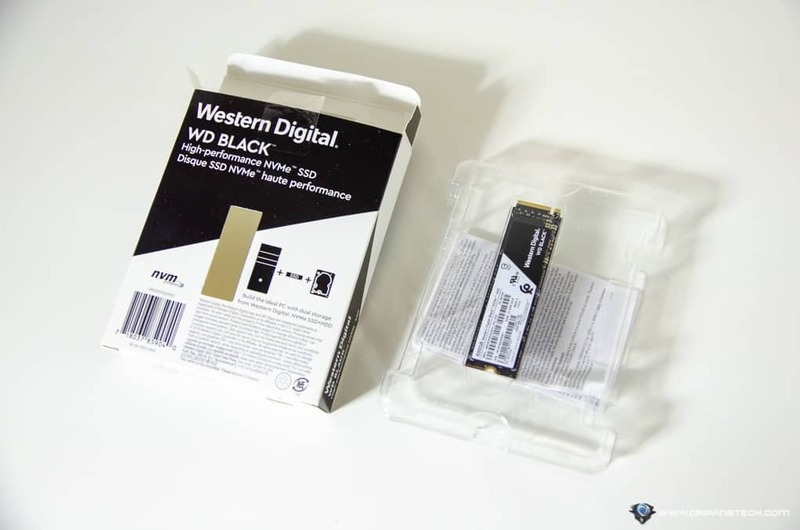 WD Black NVMe M.2 SSD (2018) Review – Western Digital fans should know by now that the “Black” means serious business. It’s the model to get if you are looking for the best performance in storage from Western Digital. Even the traditional hard drive (HDD, 7200rpm) by WD Black has proven that it’s still faster than its competitors with the same parts (check out or WD Black 6TB HDD review for comparisons). 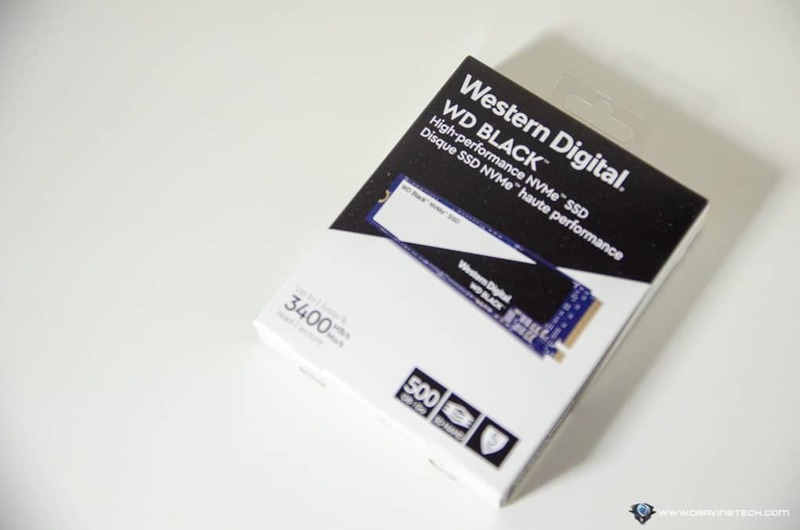 And now, WD has officially launched the WD Black NVMe SSD and its performance is nothing to be laughed at. 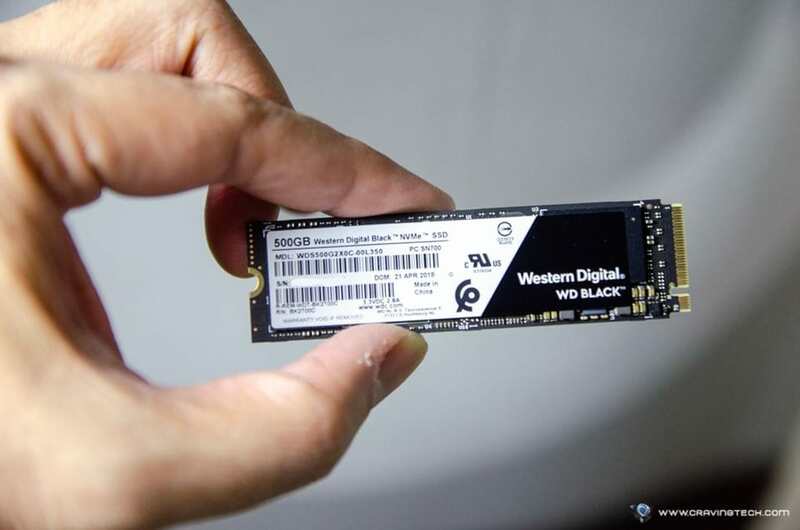 An NVMe SSD is generally faster than the 2.5″ SSD but WD takes it to the next level with a super fast read/write speed, compared to the competitors. On paper, WD Black NVMe SSD 1TB (highest capacity) features a blazing fast 3,400 MB/s read and 2,800 MB/s write speed. Compared to one of its popular competitors product, Samsung 970 EVO NVMe M.2 SSD comes close with 3,500 MB/s read and 2,500 MB/s write speed. 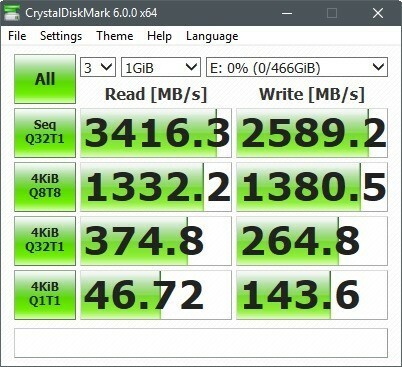 In writing data, WD Black NVMe actually comes out far more superior. I honestly don’t have the Samsung 970 EVO to run tests myself, but these are the data based on paper/product page specifications. WD Black NVMe SSD comes with 3 different capacity configurations: 250GB, 500GB, and 1TB. The review sample I have here is the 500GB model. Compared to the 1TB’s 2,800 MB/s writing speed, the 500GB model only has 2,500 MB/s writing speed, but still flies in terms of performance. I’ve had a Kingston KC1000 NVMe M.2 SSD on my machine for quite some time now and happy to see the WD Black NVMe beats it by quite a margin. With such a speed, I’d suggest to use the WD Black NVMe to hold your operating system (Windows) or if you are playing lots of games, as the Games drive. Some newer games like Pillars of Eternity II: Deadfire have long loading times between maps but you should see a significant decrease of loading times with the WD Black NVMe SSD. Or if you do lots of video and photo processing with Adobe Premier Pro or Lightroom, WD Black NVMe fast read and write speed will make your jobs easier and smoother overall. WD Black NVMe SSD will be a tough one to beat. 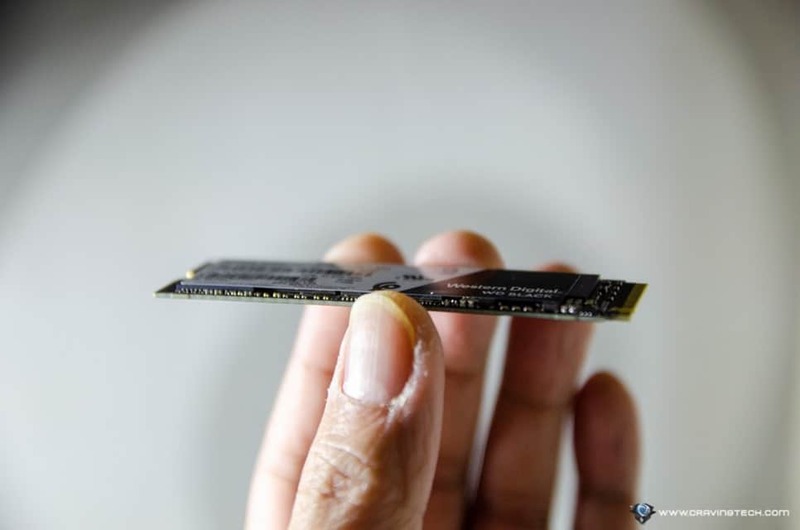 It is one of the fastest NVMe M.2 SSDs around in the market (compared to Kingston and Samsung) and with a blazing fast read/write speed, you can pretty much throw anything you can think of to it and get excellent results in performance. 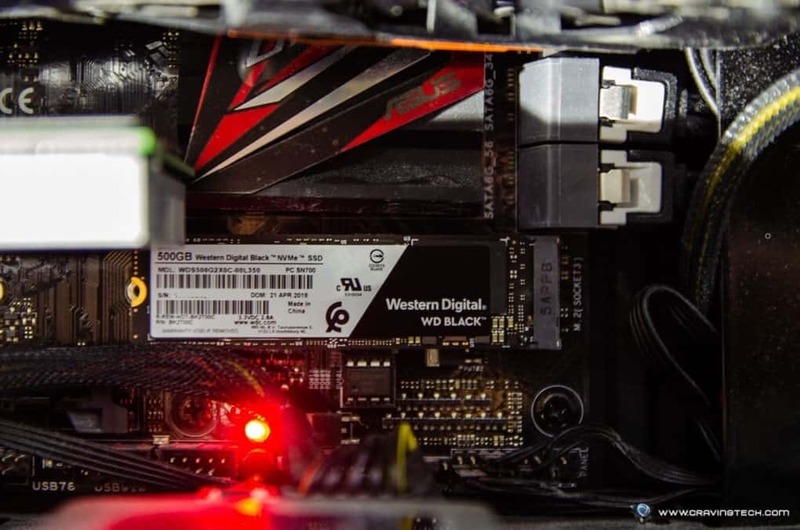 WD Black NVMe SSD is good for anything: to hold your Windows Operating System, to speed up your games, and even media editing. Combined with a 5-year limited warranty and Western Digital branding, you’ll get a solid, reliable, and one of the fastest NVMe SSD around. Definitely recommended.